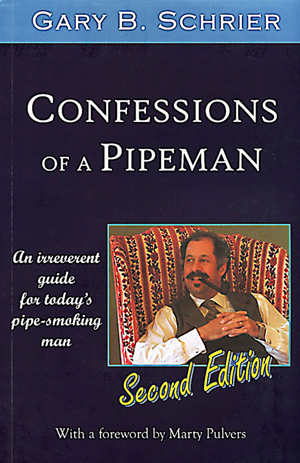 What people are saying about "Confessions of a Pipeman"
"This book is absolutely fascinating, and while Schrier predicts the end of pipe smoking, I'll bet anything that pipe smokers will be reading and savoring his words-and their pipes-hundreds of years from now." "It is a bold move to even consider publishing a book on pipe smoking in an age when the pipeman seems to be competing with the spotted owl for its place on the endangered species list. Yet, that's precisely what Schrier does in this slim account. My hat is off to him for it. Refreshingly opinionated, decidedly non-PC, sometimes light-hearted, sometimes serious, but always delivered with an eye to the author's significant experience." -Gregory L. Pease, G.L. Pease Intl. "This book offers a refreshingly irreverent answer to the question: why the heck would you smoke a pipe?. It will challenge the thinking man who doesn't smoke a pipe to consider the commitment." Now in a much-expanded second edition, including 50% more material, including illustrations and full-color photos Schrier's "irrevent guide for today's pipe-smoking man" is better than ever. Ranging from such topics from "What to do if You're New" to "What if You Die? ", the author holds forth on pipe-smoking's history, mythology, current social status, boons, and etiquette with equal parts humor, insight, and most importantly of all - honesty. Must have for any pipe smoker. Easy to read, and informative.